I looked over my shoulder hoping they would catch the hint I threw at them; the four teenagers sitting directly behind my three year old daughter discussing the indiscretions of their weekend. The details and the word choices and the content were all things that should have been part of a conversation behind closed doors, not one had in public where children were around. Before I could settle the internal debate of being that guy and saying something to the unruly and disrespectful young adults they gathered their things and found the exit. However, their foul language left a bad taste in my mouth and when I mentioned it to my wife later she admitted she didn’t hear anything they said among the other mumbling chatter of the restaurant. 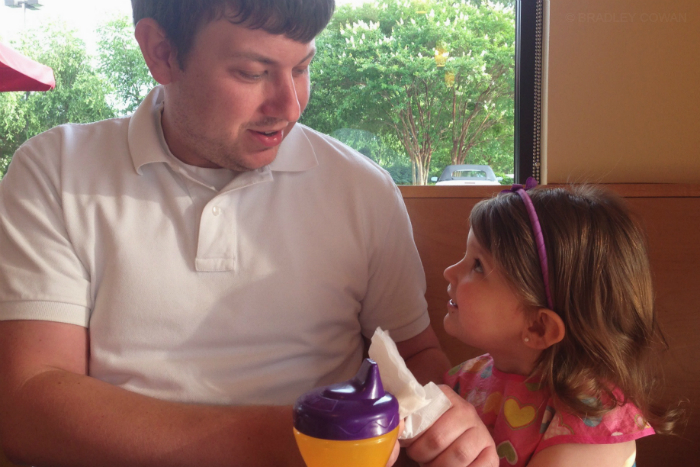 Has fatherhood made me hypersensitive of my surroundings? I had my back to them with my daughter at my side yet I heard every word crystal clear and it left much to be desired regarding the state of our youth. I feel like someone’s grandfather by even admitting that, but it’s true. Somewhere along the way, this generation missed the memo on respect… where’s Aretha when you need her?